I always enjoy reading the thoughts and articles posted by Richard Williams over the Old Virginia Blog, and thought I’d pass along this most recent post about the discovery of some USCT relics. 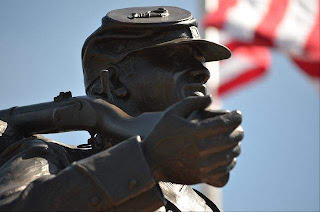 In a recent post over at Civil War Memory, Kevin Levin asked a series of probing questions about the ways in which USCT history is interpreted at public sites. This is something I have struggled with, especially when it comes to battlefield atrocities and the refusal by some USCT units to take prisoners. 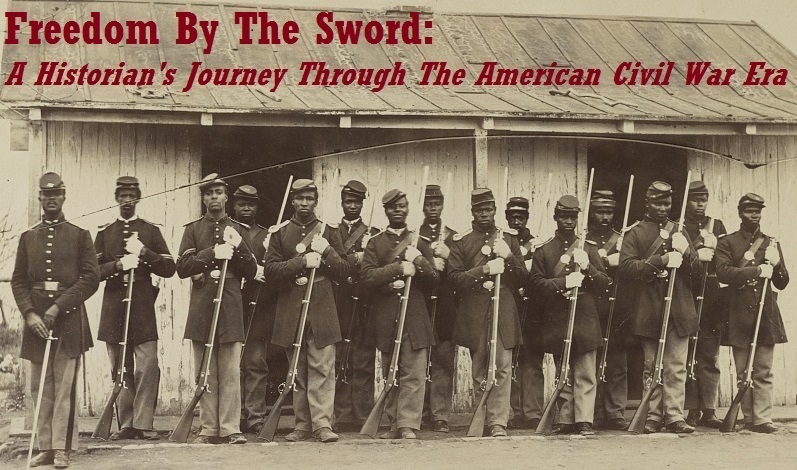 One cannot approach the topic of US Colored Troops without encountering numerous occasions in which black soldiers were ruthlessly cut down on the battlefield while in the act of surrender. Olustee, Fort Pillow, the Crater, Saltville – the list of places where Confederate troops perpetrated these war crimes goes on and on. But there is a flip side to this coin, and the way it is presented in the grand narrative can be problematic. Just as one can find numerous examples in Civil War texts that lay out the atrocities committed by rebel soldiers, one can also find the examples of when US Colored Troops went into action shouting “Remember Fort Pillow!” and encouraging their fellow soldiers to “raise the black flag” and give no quarter to any Confederate soldier who sought any. Take, for example, an incident made popular in the opening scenes of Spielberg’s Lincoln – the clash at Jenkins’ Ferry. There’s no discipline or strategy, nothing depersonalized: it’s mayhem and each side intensely hates the other. Both have resolved to take no prisoners. Private Green coolly relates the story of this atrocity without batting an eye, and Lincoln gives no obvious sign of disapproval for what he would know to be a violation of the articles of war. Thus, the audience is lulled into thinking that the action of Green and his compatriots was perfectly acceptable. The fight at Jenkins’ Ferry (April 30, 1864) was retaliation for the Battle of Poison Spring (April 18, 1864) and was every bit as cold and ruthless as it appears on screen. But one is inevitably left asking the question – if it was wrong for Confederates to show no mercy to surrendering black troops, what made it acceptable for USCTs to engage in the same activity? Indeed, the Union soldiers who witnessed Jenkins’ Ferry wrestled with this question themselves. One white northerner wrote after the battle: “It looks hard, but the rebs cannot blame the negroes when they are guilty of the same trick.” Another simply observed, “It would not surprise me in the least if the war would ultimately be one of extermination. Its tendencies are in that direction now.” (Note: for a great treatment of Poison Springs and Jenkins’ Ferry, see Gregory J. Urwin, “’We Cannot Treat Negroes…as Prisoners of War’: Racial Atrocities and Reprisals in Civil War Arkansas” in The Price of Freedom: Slavery and the Civil War, Vol. 1). Since the cause that the USCTs were fighting for is so much more compatible to 21st Century America’s views on justice and freedom, it seems as if these incidents have flown under the radar and are taken at face value as the Confederacy’s just deserts for fighting to establish a slaveholding republic in the first place. Indeed, that very well may be the case. 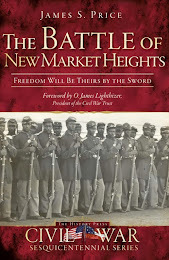 Even George Burkhart in his work Confederate Rage, Yankee Wrath: No Quarter in the Civil War writes that if the black Union soldiers and their commanding officers had ever been court martialed for killing soldiers in the act of surrender, they “would have packed many courtrooms. They killed a large but unknown number of wounded, surrendered, or captured Confederates. Though their lawyers might contend that the defendants only gave as good as they got, that argument would not have saved them” (p. 247). As we continue into the Sesquicentennial and the topic of emancipation and black military service takes center stage, we would do well to wrestle with such vexing questions. The struggle is worthwhile.